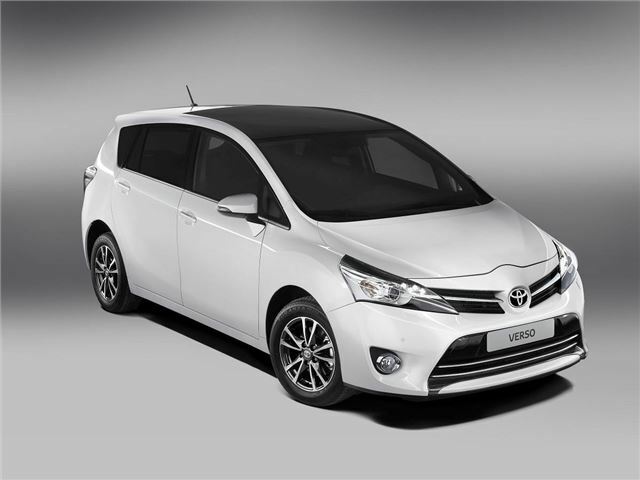 Toyota's new compact MPV, the Verso is available to order from UK showrooms now, with deliveries expected in January 2013. The new eight-car range comes in at £17,495 to £23,445 and is available in five or seven-seater form, with a choice of two petrol and one diesel engine. The new model first shown at the 2012 Paris motor show shares its sharp new styling with the five-door hatchback Auris, features flat rear seat folding, and majors on its generous equipment tally. A headline CO2 emissions figure of 129g/km for the popular 2.0-litre D-4D diesel model is an improvement on its predecessor. The addition of the Verso strengthens Toyota's presence in the keenly-fought small family car sector, and goes head-to-head with strong players such as the Ford Grand C-MAX, Mazda5 and Volkswagen Touran. But the combination of an extremely roomy interior, excellent expected reliability and customer service place the new Verso in a very strong position in the market place. Toyota is promising improved interior quality, too with new new trim materials and upholstery designs adding class. The engine line-up remains as before, with a choice or 1.6- and 1.8-litre petrols (with six speed manual and automatic transmissions available), and a revised version of the 2.0 D-4D diesel, which now offers smoother power delivery as well as lower CO2 output. It's offered with three trim levels - Active, Icon and Excel, with the 1.6-litre Active coming in at that keen £17,495 price point. Standard equipment levels are generous, with even this entry-level model featuring front fog lights, air conditioning, electric front windows, Hill-start Assist Control and, on the seven-seat version, Toyota’s quick and simple Easy Flat-Seven folding system for the rear seats. Mid-range Icon models receive cruise control, a DAB digital tuner, rear privacy glass and a folding function on the electrically adjustable door mirrors. and 16-inch alloy wheels, while the Excel range-topper also gets part-leather seats, keyless entry, roof rails and automatic headlights and windscreen wipers. Options across the range include a Google-enabled multimedia touchscreen system and panoramic roof.